On a daily basis, organizations that support adults with developmental disabilities are facing the “graying” of participants in their programs and in their residences. 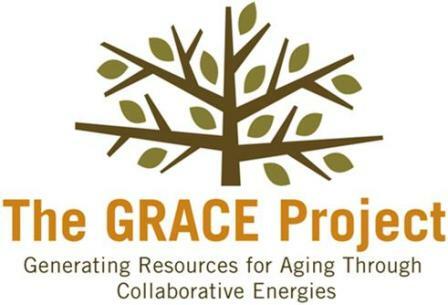 The GRACE Manual for Aging Adults with Developmental Disabilities, developed by a collaborative of six organizations from the Intersect for Ability Network, is a service provider response to later life transitions. More than fifty professionals including QIDPs, program staff, therapists, architects, and academics developed content for the manual’s sections: Staff Training, Day Services, Residential Services and a Resource Guide. Staff Training is composed of curriculum on Aging Well, Alzheimer’s and Dementia, Health Promotion (The Physical Aging Process and The Spiritual, Social and Emotional Aging Process), End of Life and Caring for the Caregiver. Day Services is a valuable tool to first develop or enhance an existing day program for aging adults with developmental disabilities. Six core values serve as the basis for the design. Among them are: aging is a lifelong process; services should enhance or maintain abilities; inclusion in the community is supported through a range of activities/experiences; personal fulfillment and satisfaction are achieved through realizing goals and aspirations; and state of well-being is supported through programs in a safe environment. Residential Services is devoted to the concept of aging in place. Recognizing that most organizations are not in a position to build new residences for their aging populations, this section of the manual provides administrative checklists and a wealth of program resources from the perspectives of: medical needs and changes, adaptive technology, wellness and health promotion, dietary considerations, including shopping lists and menu planning. A Resource Guide is included citing all of the books, articles, manuals and research consulted during the development of the manual. On the Job Training (OJT) Guide that includes competency based assessment activities in checklist form. Facilitator’s Guide for the updated staff training curriculum and custom GRACE training DVD. Includes all necessary materials to facilitate more than 40 hours of training at your agency with your staff. Eight CD-ROMs of the sections of the manual as well as Dietary & Nutrition and Architectural sections; plus OJT and Facilitator’s Guides, and the staff training DVD are all included. 847-385-7272 or email to bpeterson@clearbrook.org.